The Sun moves into Gemini today and will stay there until June 21st. 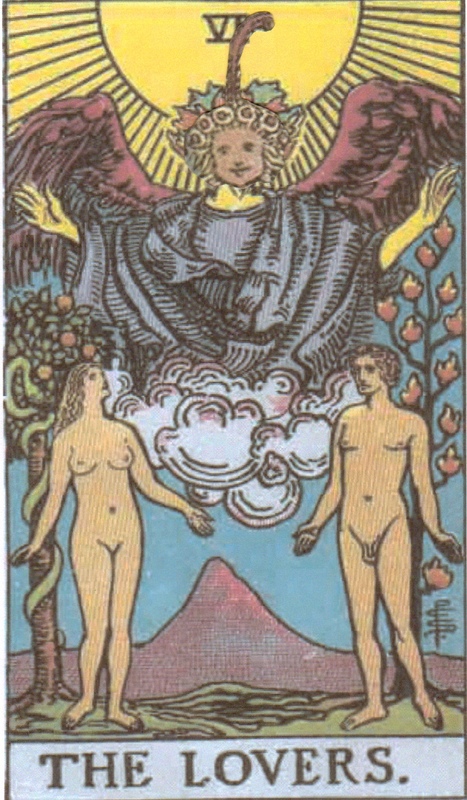 Through the eyes of the Tarot, this transit is like the Sun is wearing the clothes of the Lovers’ Angel. He’s thrown on a robe and donned some wings. The Sun in Gemini, or the Sun wearing the clothes of the Lovers’ Angel, is an excellent time to see all sides of a situation. And a good time to keep your mind open wide to inspiration. When you do make a decision, it’s one that should stick. Or at least, it should be taken seriously. If there are any issues that need working through, let them out for review. Clarity is at a high and the big picture is easy to see. Is there something in your life that needs to be united? How about severed? It could go either way, or some way you didn’t expect at all. Stay flexible, but serious, joyful and sincere. Love and sensitivity flourish as the Sun commits to a brand new season. 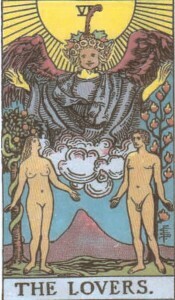 You are currently reading Sun in Gemini – Sun in the Clothes of the Lovers’ Angel at The Tarot Room.